Could you ever suspect that your mentor was a cold-blooded killer? Attorney Jessie Martin couldn’t– at least not until she answers the midnight call. Late one August night, her mentor/confidante and popular high school teacher Terrence Butterfield calls, admits he’s killed someone and pleads for Jessie’s help. Out of loyalty, she rushes to his aid, unaware that she’s risking her love, her career, her life and that of her unborn child. When the police arrive, her presence raises questions as to her role in the gruesome slaughter of the teenage boy found in Terrence’s basement. Did Terrence call her as a lawyer or a friend? Was she somehow responsible for the murder? To dismiss the murder charges Terrence betrays Jessie, making her wonder whether he’d been a monster in disguise all along. To prove her innocence, Jessie must untangle the web of betrayals and the shocking truths behind the homicide. This quest turns out to be the fight of her life. About the author: Jode is a life-long resident of the beautiful Hudson Valley in New York State. After many years of practicing law, she semi-retired her briefcase to write. Her non-fiction books include the SEATS Theater Guide series, New York and Chicago, which she and her father, Sandy Millman created almost 20 years ago. Her award-winning debut crime novel, THE MIDNIGHT CALL, will be published by Immortal Works in May 2019. 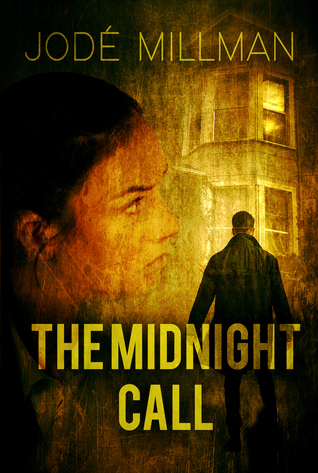 In 2014, THE MIDNIGHT CALL was designated as the “Best Police Procedural” by Chantireviews.com and was short-listed for the Clue Award. The novel was inspired by a true crime and tells the story of a young, pregnant attorney who risks her career, her love and life to help her mentor when he’s accused of a gruesome murder. In addition to writing crime fiction, Jode loves reading a good mystery. Louise Penny, Laura Lippman, Jenny Milchman, Carol Goodman, Steve Berry, and Michael Kortya are all her favorites. In addition, she holds a Masters In English Literature and has taught undergraduate and law school, where her classes combined her interests in Law and Literature.